Guest: John Powell. Topics: John provided us with updates on the activities of JP Aerospace. 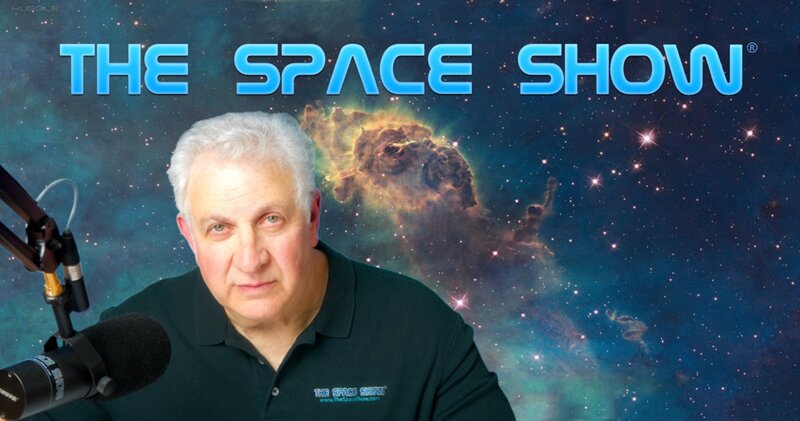 Please direct all comments and questions regarding Space Show programs/guest(s) to the Space Show blog, http://thespaceshow.wordpress.com . Comments and questions should be relevant to the specific Space Show program. Written Transcripts of Space Show programs are a violation of our copyright and are not permitted without prior written consent, even if for your own use. We do not permit the commercial use of Space Show programs or any part thereof, nor do we permit editing, YouTube clips, or clips placed on other private channels & websites. Space Show programs can be quoted, but the quote must be cited or referenced using the proper citation format. Contact The Space Show for further information. In addition, please remember that your Amazon purchases can help support The Space Show/OGLF. See www.onegiantleapfoundation.org/amazon.htm. For those listening to archives using live365.com and rating the programs, please email me as to why you assign a specific rating to the show. This will help me bring better programming to the audience. We welcomed John Powell back to the show for updates on JP Aerospace (www.jpaerospace.com). During the first segment of our 1 hour 44 minute program, John started out talking about their UAE mission, crossing the desert in the UAE and raising the UAE flag to 102,000'. You can see the video of this recent JP Aerospace event at www.frequency.com/video/uae-flag-in-space-by-al-hilal-bank/212906510?cid.... Next, John took us through an overview and set of updates for their Airship to Orbit (ATO) venture. He began this by talking about a series of tests they have done and will be doing that will eventually enable ATO. Much of this information is on the JP Aerospace blog at http://jpaerospace.com/blog. John went into some detail to describe the tests, especially those that will lead up to eliminating most of the drag at altitude for ATO. Listeners asked several questions via email about the size of the airship, space diving from Dark Sky Station, and then Charles emailed in a note about air density at 140,000 feet, the altitude of the proposed Dark Sky Station. For the balance of this segment, John explained the different stages of the ATO program, some of the hardware that was needed, and the JP progress to date. Greg Cecil called in as a customer of JP Aerospace. He told us what it was like being a customer, the positive impact on his students with JP programs such a MiniCube, plus he emphasized how important it was for John to be an out of the box thinker looking for alternatives to establishment problems such as the high cost to orbit. In the second segment, John continued talking about the ATO program plus ion engine development. John from Florida called in and went through the basics of how the program was to work. During this discussion, speed dynamics for their winged shaped vehicle were discussed, plus JP said they were working on getting power from batteries. This led to a discussion about JP developing MHD technology which you can see documented on their blog. I asked JP for the biggest challenges and he said engine work, then described the specific challenges in their engine work. He also said it was a challenge to scale up to large vehicles from small vehicles. Tim called in to suggest a reentry system. JP was ahead of the game on this one and described some of the work they were already doing re these systems. Scott sent in an email asking JP how one volunteers to work for JP Aerospace. JP elaborated on the process which starts with an email to him. His address can be found at the bottom of their home page. Another listener wanted to know about robotics vs. human flight. JP said they were definitely still in the robotic stage. Then he talked about their two man submarine, 3D printing, plus updates to his book which may be out later this year. Finally, he said they were putting their logs together and would soon have a 300 page .pdf MHD study available for purchase on their website for $20.00. He described the contents of this .pdf study, some of which is on the JP blog. Please post your comments/questions on TSS blog above. You can reach John Powell through his website or me.